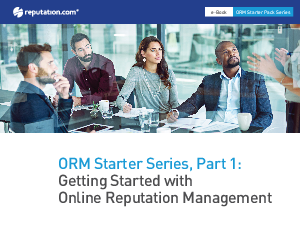 As consumers increasingly rely on online reviews, businesses that leave their online reputation to chance are at a severe disadvantage versus those with solid Online Reputation Management (ORM) programs in place. But where do you start? By downloading this guide.